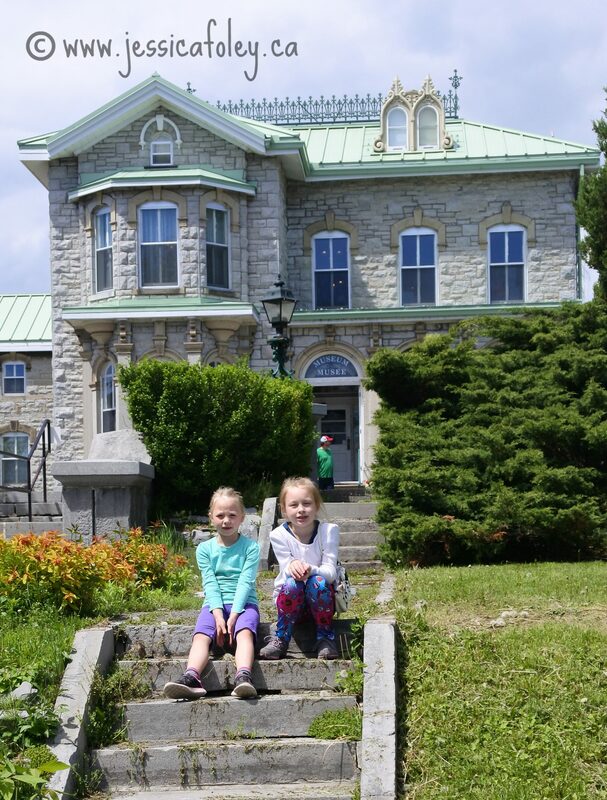 Kingston Pen Tours – Take The Kids! Kingston Pen Tours are the “in” thing to do in town these days. Tickets can be hard to come by, but we managed to get a set for the 4 of us to take a Saturday afternoon tour. The weather was beautiful, and we were lucky because there is a lot more outdoor time on the tour than I thought! I had no idea that behind the main gate there was such a beautiful courtyard. Our tour guide took us through the cell blocks, segregation, the shop area, the yard and gymnasium. I would have loved to visit the hospital, but that wasn’t on the tour. Having the previous guards act as guides for different sections gives the tour a reality it would otherwise be lacking. Stories told from people who actually lived them are pretty amazing. I did notice a bit of censoring (and extra glances at my 6 year old) but I don’t think it detracted from the tour. 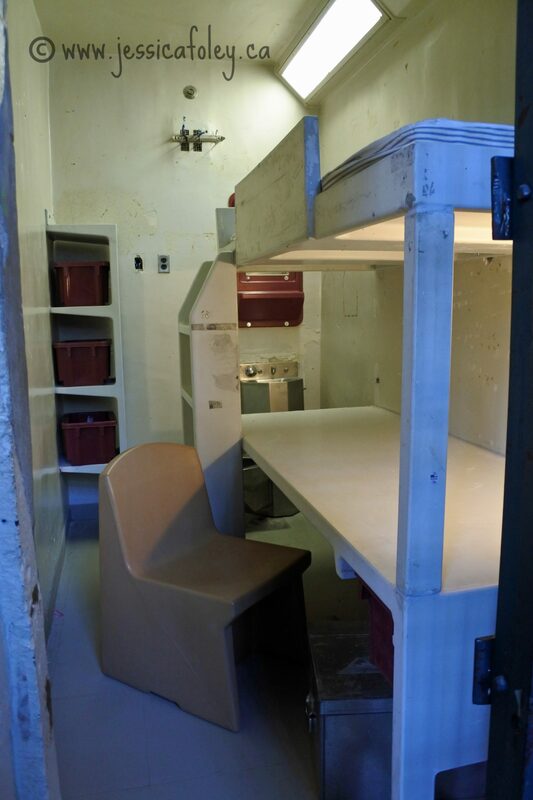 I thought it was really interesting to see the older and newer areas of the prison. They have a lot of large photos on display of different times in the prison’s history. It’s pretty amazing to be in there, hearing the average day described, and picturing it all in your mind’s eye. While I don’t think my children really understood all the significance of what we learned, they did have a great time taking the tour. Looking at the cell blocks and how different the older area was from the newer cells in segregation was super interesting! When I was as extra for the upcoming Alias Grace miniseries we filmed our scenes in and around the Shop buildings. We actually didn’t get to go out to the courtyard they used for filming, but I was able to point it out to the family through the windows! 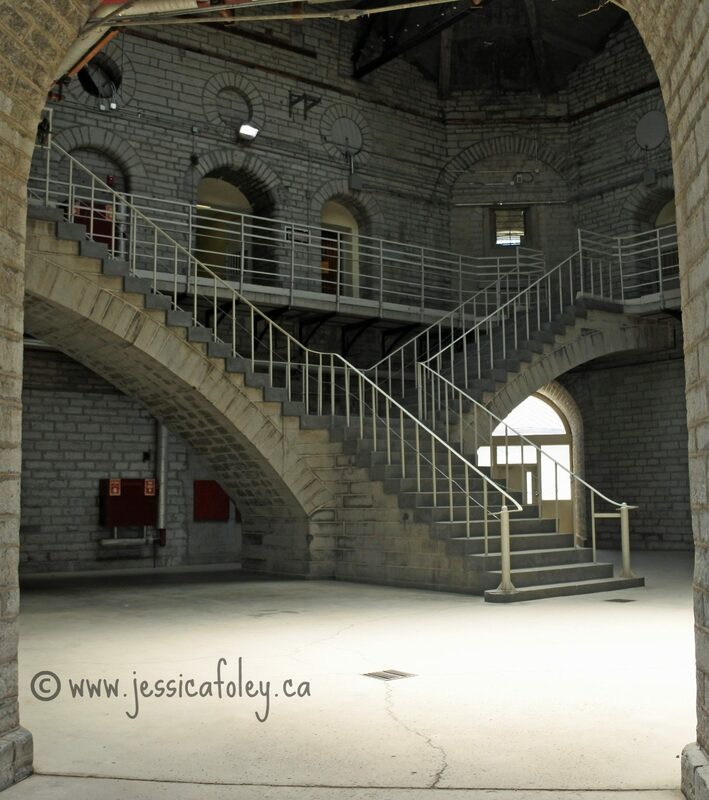 If you get the chance to take the Kingston Pen Tours, I say do it! It’s a really interesting tour, the guides and everyone who works there are very enthusiastic, and the tours are well laid out. 90 minutes may sound like a long time, but it really doesn’t feel it while you’re on the tour. In fact my kids didn’t complain once! Visit the Kingston Pen Tours website here to learn more or purchase tickets. They also have (or at least had the day we went) tickets available at the gate. 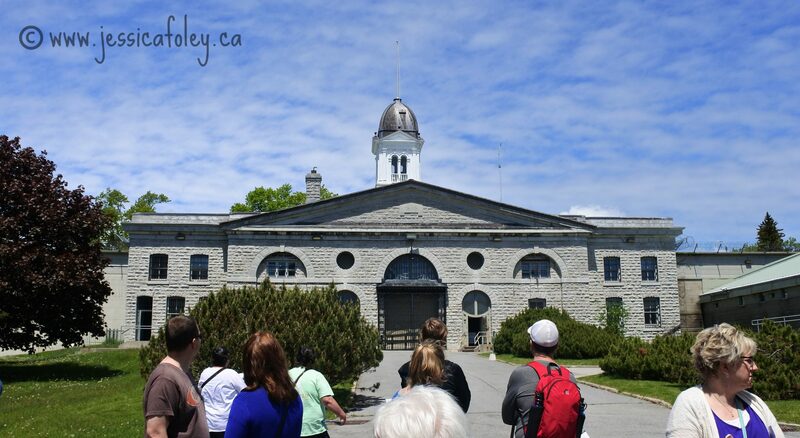 Have you been on the Kingston Pen Tours? I’d love to hear your thoughts! We made sure to visit the museum across the street in the old warden’s house as well. Lots of neat artefacts (and written facts) over there too! Admission to the museum is by donation. If you liked this post, check out my review of the Haunted Walk Tour, what’s going on with all the construction in Victoria Park, and my post from last spring, 10 Things To Do in Kingston This Summer. (Make sure you look for this year’s dates as that post is a year old now!) If you’re interested in having me write about your attraction or event, contact me! Great review Jess. I have to admit I was never very interested in taking the tour, but after reading your blog I must say I am very interested now. Great photos and great review. You should take it! It is a bit of walking, but there are lots of stops for bits of stories. I think you and Vaughn (and/or Adam) would enjoy it! I would LOVE to visit Alcatraz. It’s so interesting to see the history and architecture in the old buildings. I think the City of Kingston has hit on a great idea with our Kingston Pen Tours – they are mega popular here! Very interesting post! I am definitely putting the Kingston Pen on my to-do list for this year. The architecture is so amazing and the cells so claustrophobic. It was fascinating. Because I had been part of the filming for Alias Grace, which took place in a few areas of the prison, I was really interested to check out the rest of it. We’ve done 2 tours now and I would totally go again!